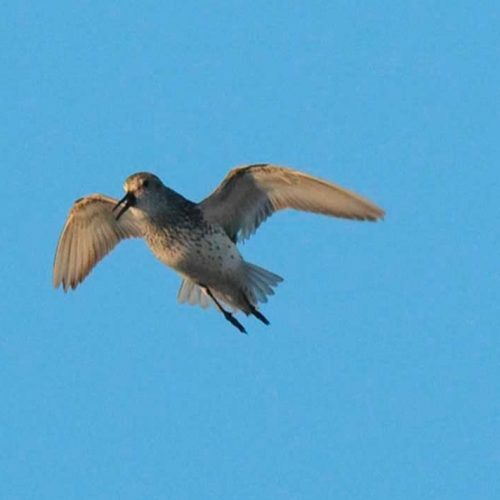 The common foraging behaviors of Spoon-billed Sandpipers on the breeding grounds differ significantly from their behaviors on the wintering grounds. Birds move more slowly and pick food items—invertebrates and small amounts of plant material—from the surface in a fashion similar to most other small sandpipers. In this segment, a mated pair forages along the edge of a snowmelt pond during the egg-laying period of their nesting cycle. The Spoon-billed Sandpiper is one of the most critically endangered birds in the world. 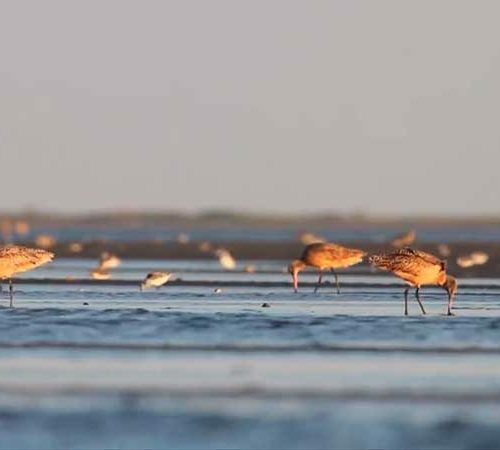 To learn more about the threats they face on breeding, migration, and wintering grounds, as well as efforts to save them, see our feature article from Living Bird magazine.